Pico Alexander started his acting career on stage playing various characters that were apt for him. From this humble beginning, he found his way into Hollywood with an appearance in a short film titled Turban. From this, the actor pushed on with his career earning various roles in movies which also endeared him to a lot of people. He is as well popularly known as one of the Hottie’s who starred in the NetFlix movie, War Machine. Read on to find out more about Pico. Born as Alexander Lukasz Jogalla on the 3rd of June 1991 in New York City, United States, Pico was raised in Park Slope, Brooklyn. He was named Pico while still in the womb by his grandfather and when he was born, the name surprisingly took over his birth name. He once said in an interview that no one called him his birth name except his sixth-grade teacher. His parents are Magdalena Deskur and Lukasz Jogalla and are both Polish immigrants to the United States of America. Pico grew close to his grandfather, Jerzy Jogałła who was an actor in Poland and also decided to follow in his stead. His great-grandfather; Jerzy Turowicz until his death worked as a journalist. His dad was a cinematographer while His mom was a singer who attended a music school in Poland. Meanwhile, as a growing child, Pico Alexander took classes and learned how to play the classical piano and trumpet. The actor is bi-lingual, he speaks both English and Polish language fluently. As regards his education, Pico attended Fiorello H. LaGuardia High School and furthered his studies at Mason Gross School of the Arts at Rutgers University. Alexander started acting while he was in second grade, he appeared on a stage play as a son returning from war and also earned his first income of $200 for this performance. Despite being very active in the theater world during his high school days, it was not until the year 2009 that Pico Alexander made his first shot in Hollywood appearing in a short film, Turban. In the following year, he wrote the short film, Get Set Go. Prior to his days on the big screen, Pico appeared on the stage production of the following films; Our Town, Punk Rock, and What I Did Last Summer. He has also appeared in a few television series. He played as Nick in the drama series aired on CW from 2013-2014, The Carrie Dairies. While working on that project, Pico landed another role to play as Reuben in the television drama series Alpha House. Later on, he appeared as Joe in one episode of the drama series, The Following. He subsequently played as Darren Bentley in the series Bluebloods and also appeared in Orange Is the New Black. Despite his acting escapades on television, it wasn’t until 2014 that he got a role on the lengthy movie, A Most Violent Year playing as Esai Morales, the brother of the lead character. Two years later, he played as Sonny Cottler, a Jewish fraternity president, in the blockbuster movie, Indignation. In 2017, Pico played as Trey Wandella in the Netflix Original War Machine starring alongside Brad Pitt. 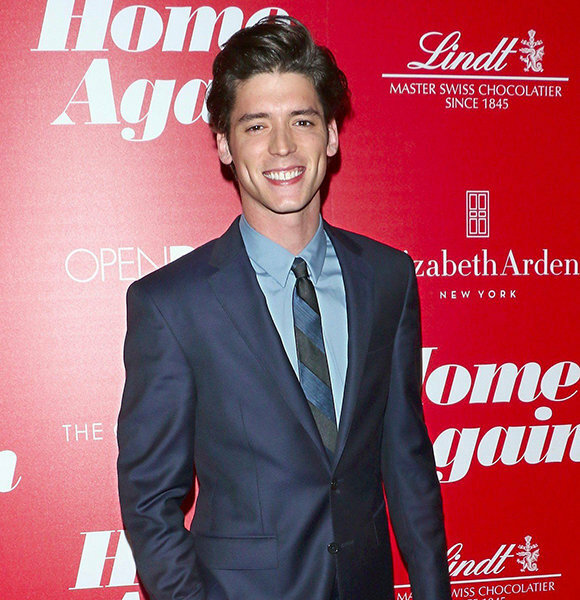 Pico Alexander described his role as Harry; Reese Witherspoon’s character’s love interest in the romantic comedy film, Home Again as the first real romantic role he ever received since his career began. He later played as Kieran Duffy in the 2018 Rockstar Games’ Red Dead Redemption 2. See Also: Who is Tiya Sircar, Who is Her Husband or Boyfriend, Is She Dating Anyone? Unlike most celebrities who have gone ahead to publicize their relationships on most social media platforms, Pico Alexander has kept this aspect of his life under lock and key. Surprisingly, he is not active on any social media platform, according to him, he prefers being under the shadows. Pico was previously linked with Reese Witherspoon because of his role in Home Again. Till date, a lot of their fans still look forward to their togetherness and believe that their story would end up being like so many actors and actresses who met on stage and fell in love. Both Pico and Reese are yet to confirm or deny these rumors, however, we would do an update as soon as we lay our hands on the truth behind their relationship. Pico Alexander is undeniably one of the few handsome, reserved and eligible bachelors in Hollywood. He has a cute face with dimples and a killer smile which is proudly displayed with his height of 6 feet 1 inch or 1.85m.